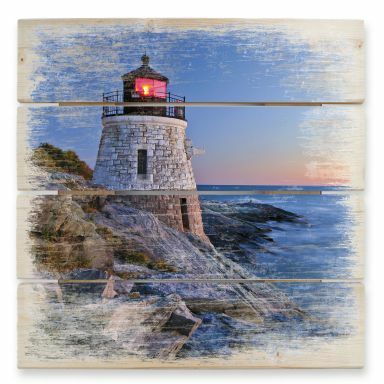 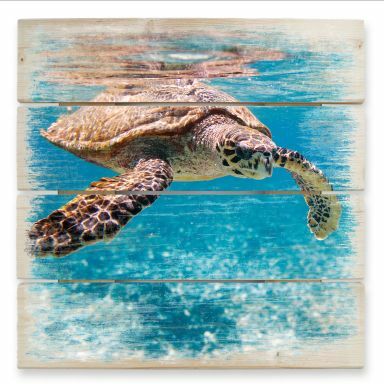 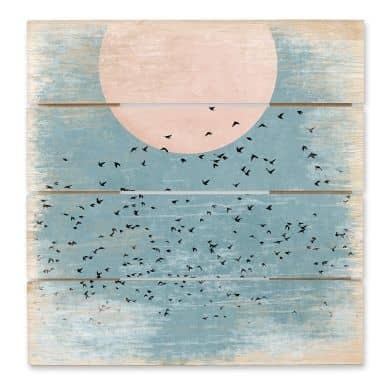 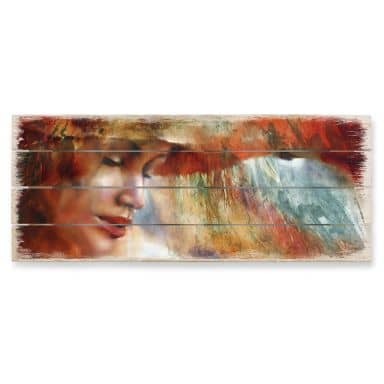 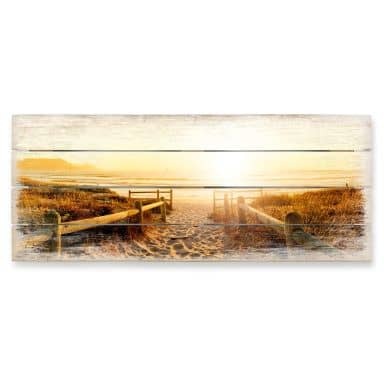 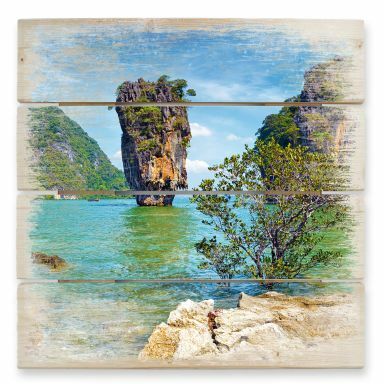 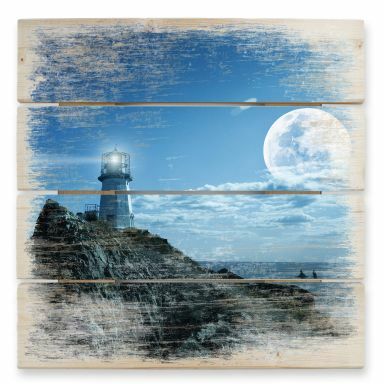 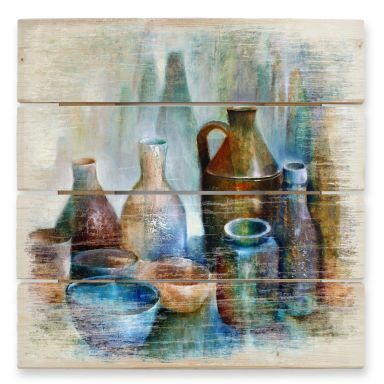 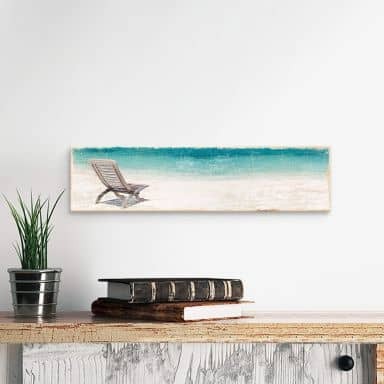 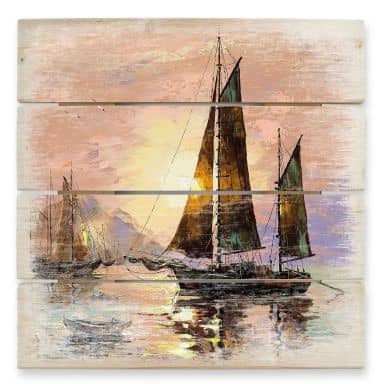 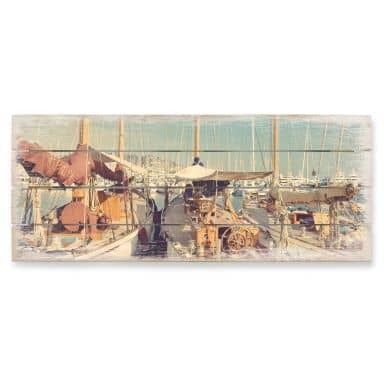 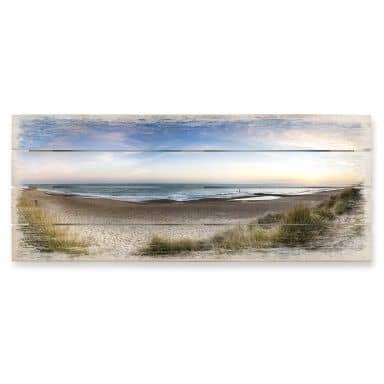 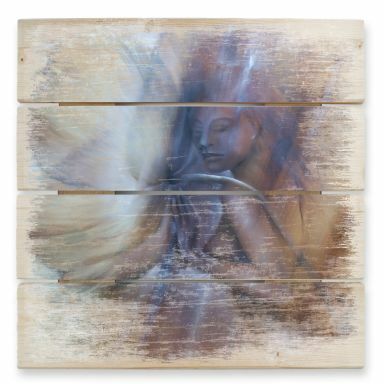 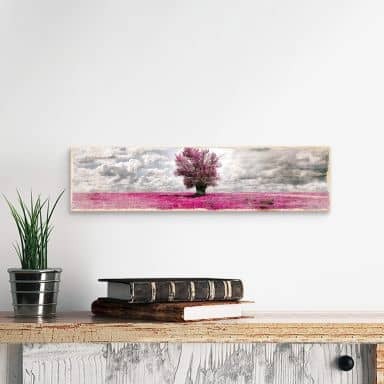 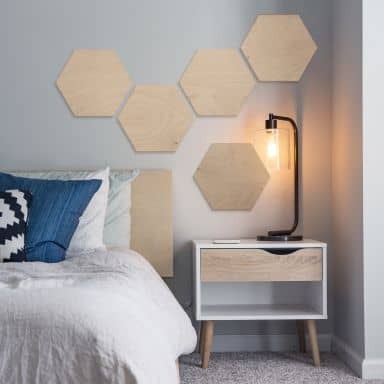 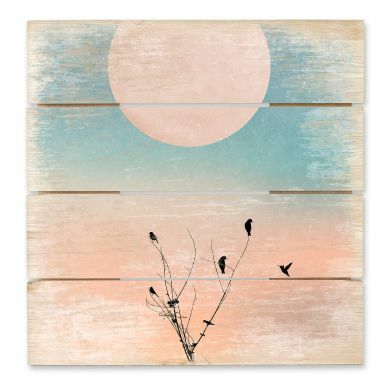 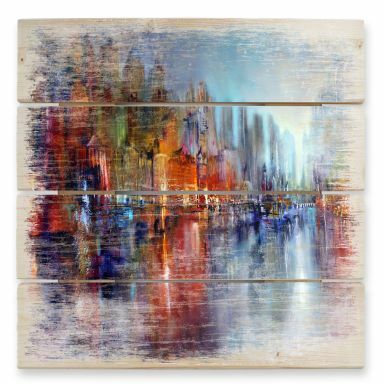 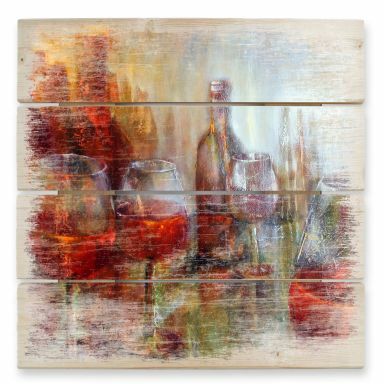 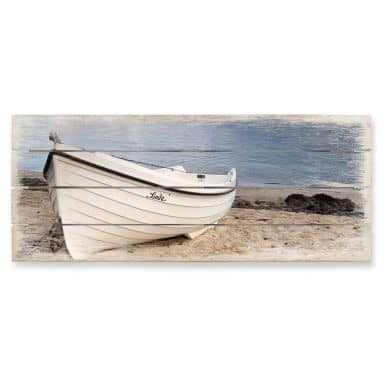 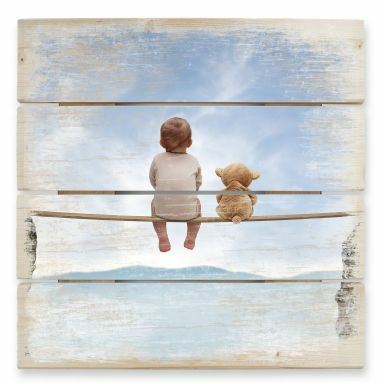 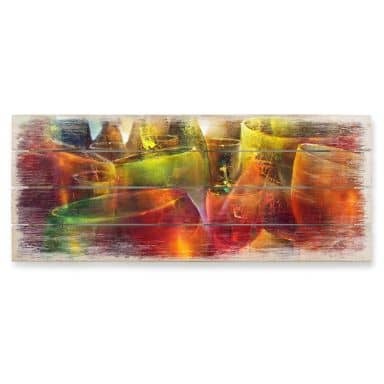 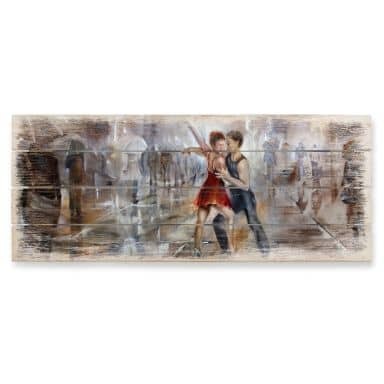 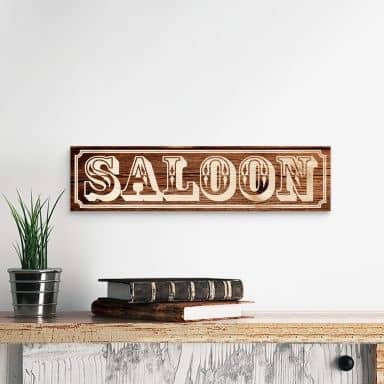 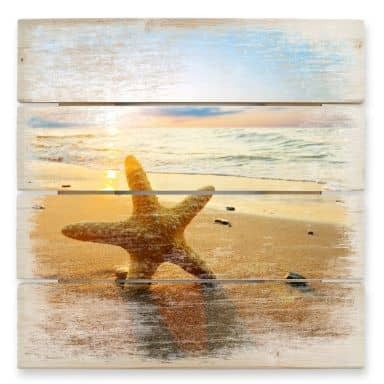 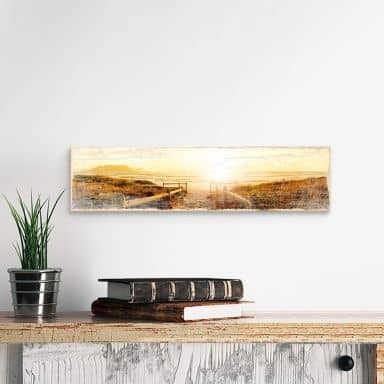 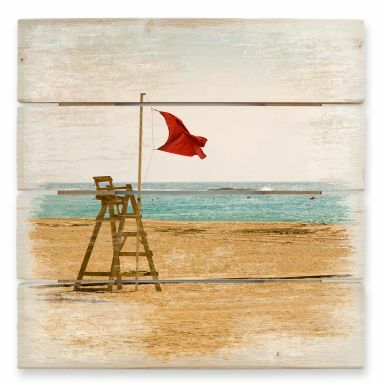 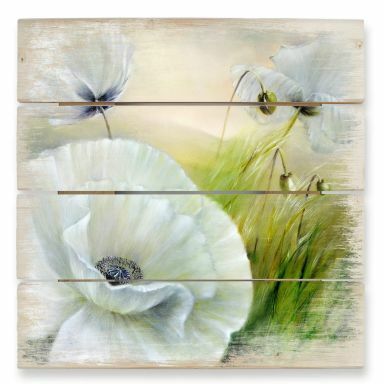 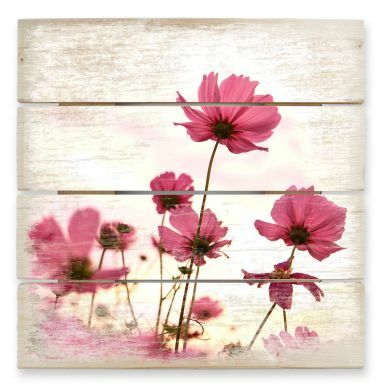 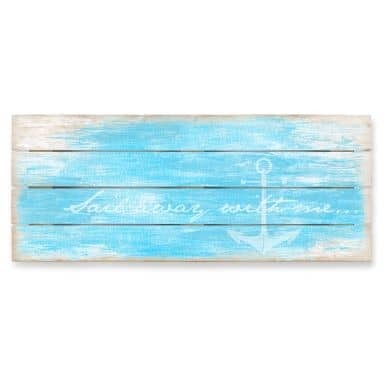 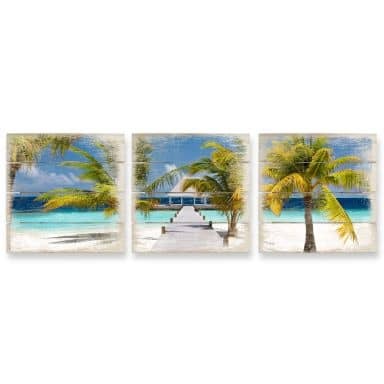 Art and prints on wood fit almost any interior but a beach themed room is definitely the best style for wall art on wood. 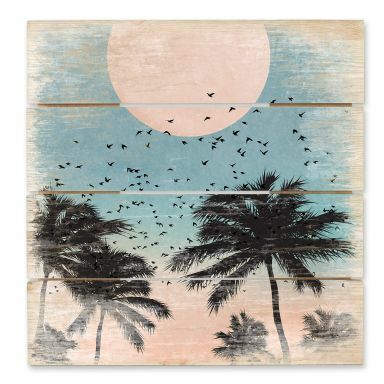 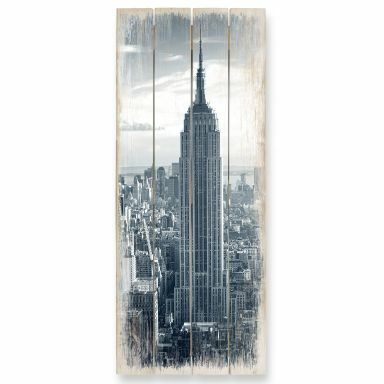 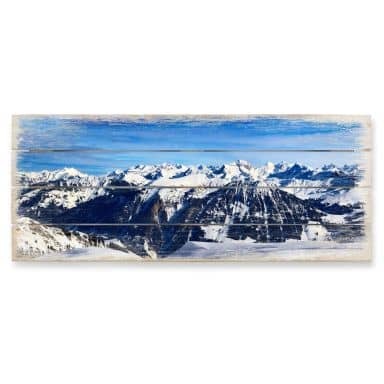 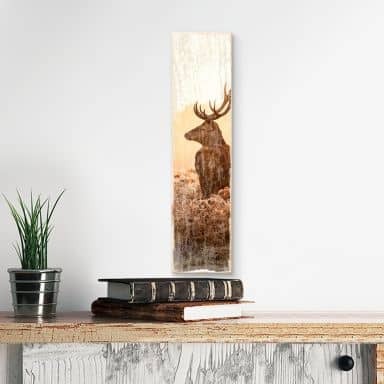 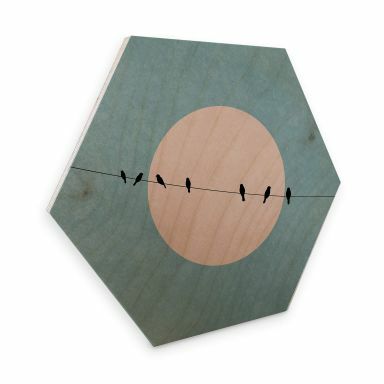 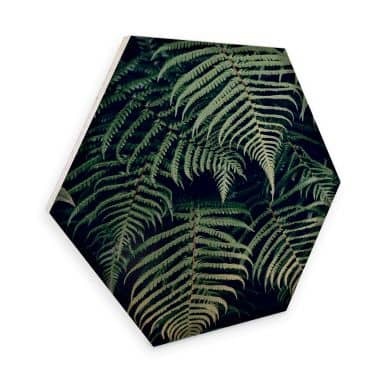 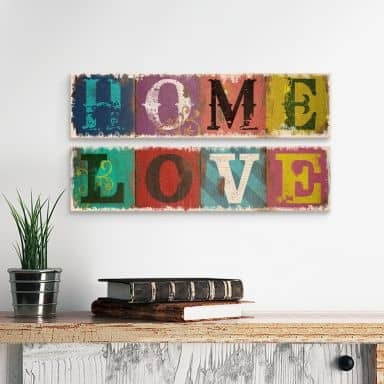 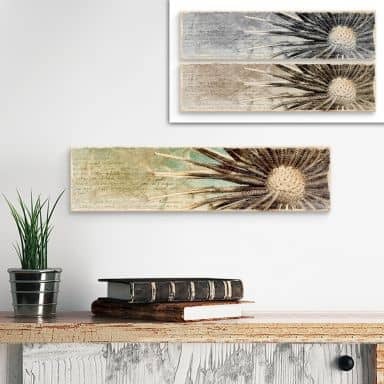 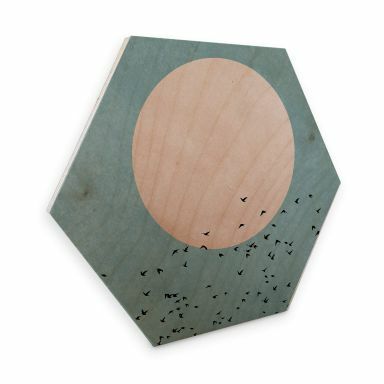 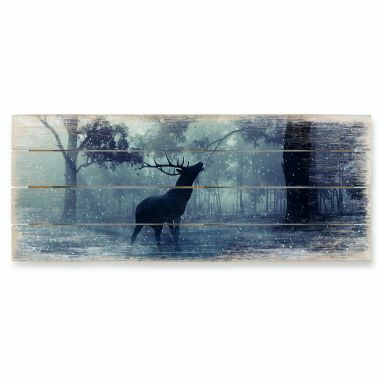 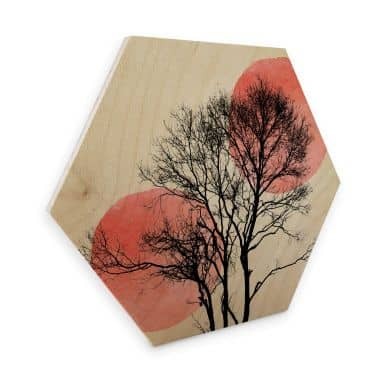 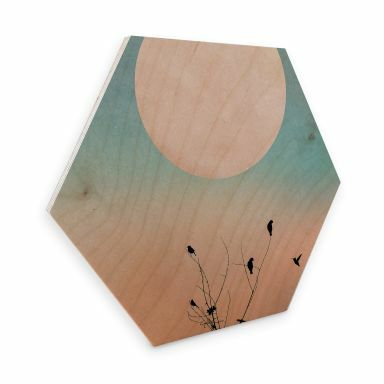 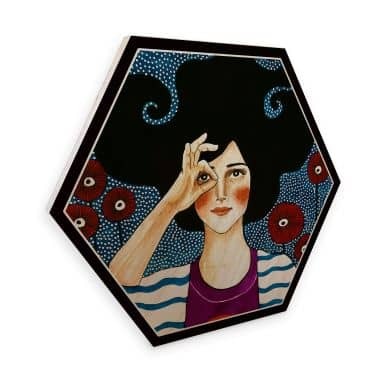 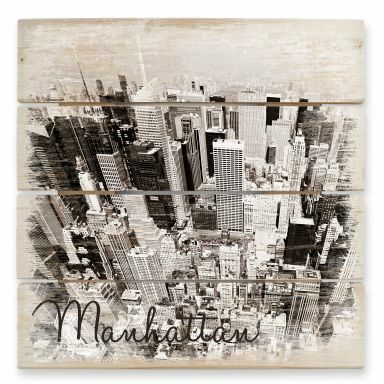 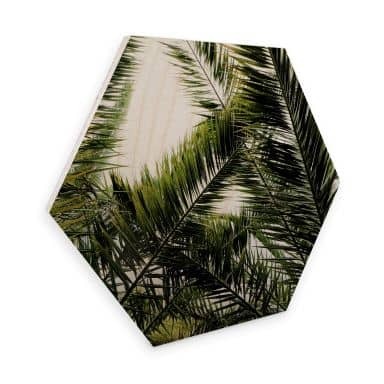 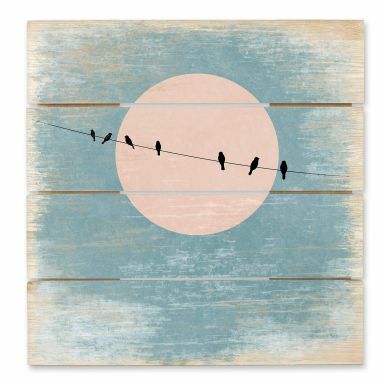 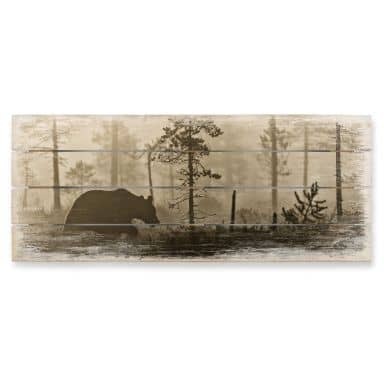 Prints with darker colours take on a more dramatic tone when printed on wood. 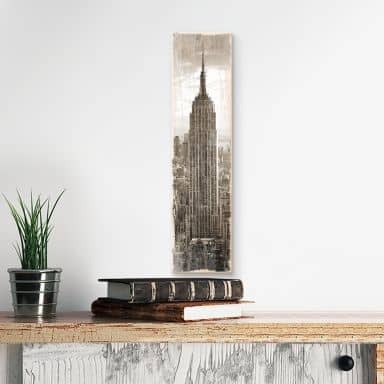 In areas of lighter colour, the wood grain shows through the ink, allowing unique imperfections of the grain and random knots in the wood to be seen. 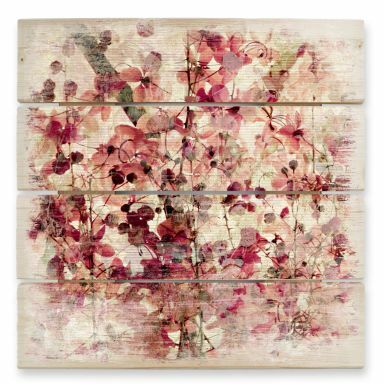 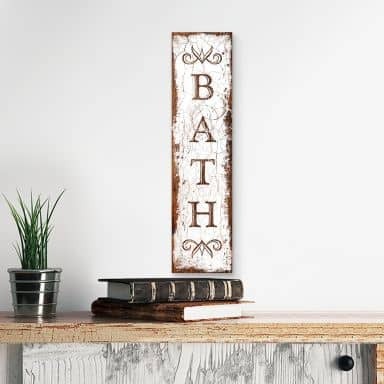 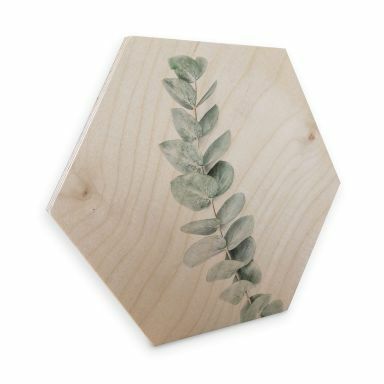 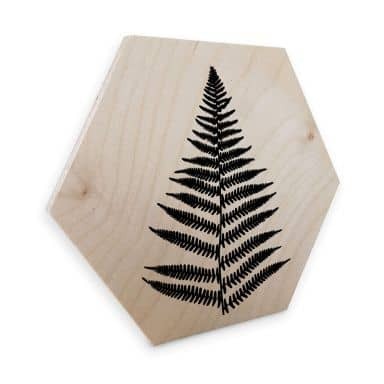 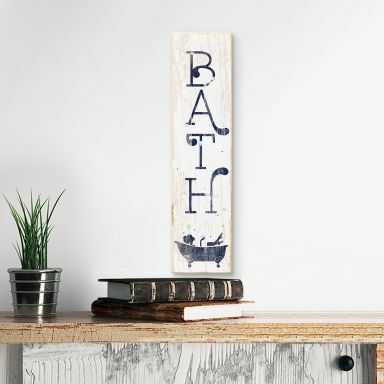 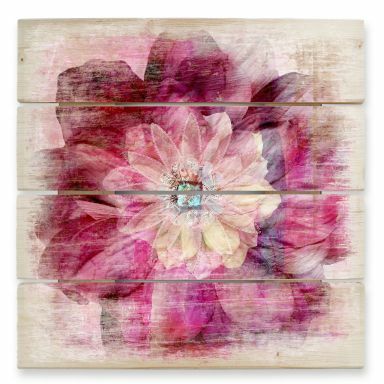 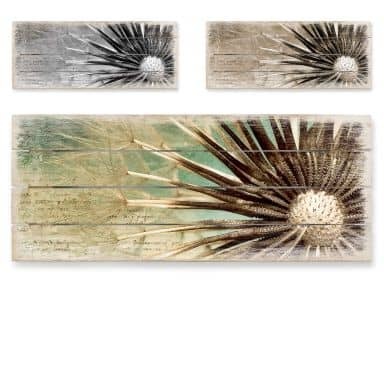 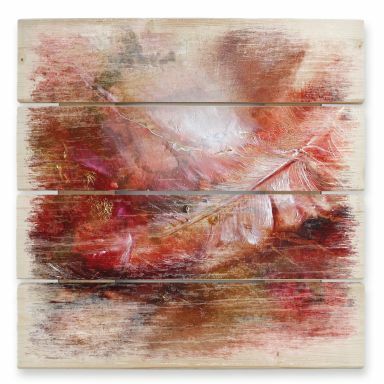 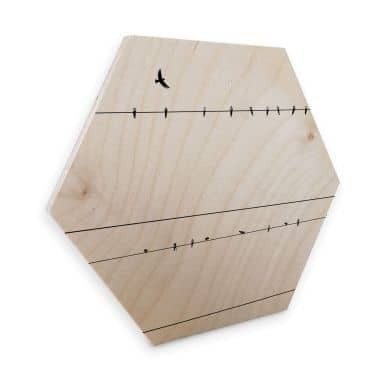 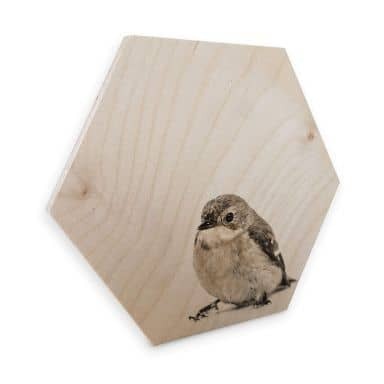 If you love the elegance and durability of wood you'll be sure to love these wall decorations! 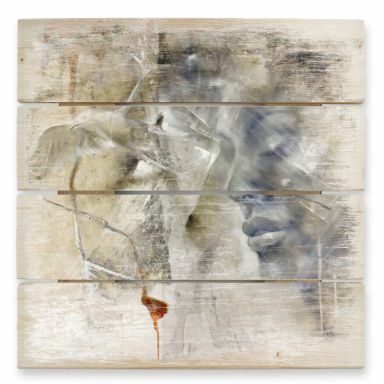 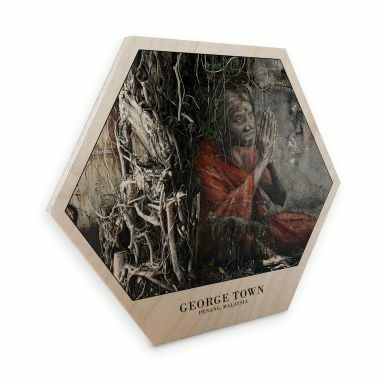 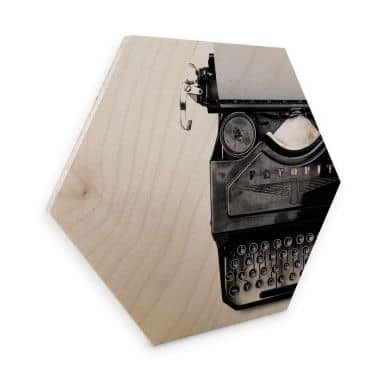 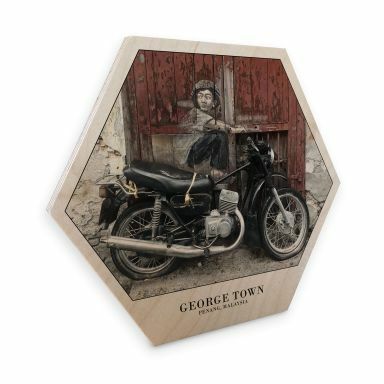 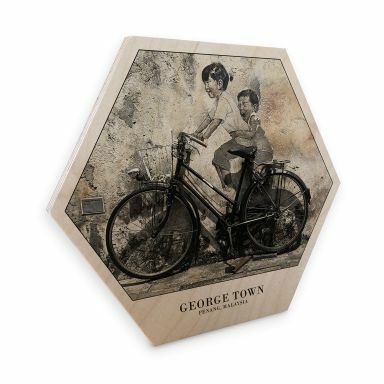 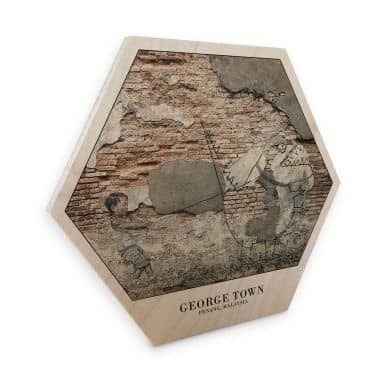 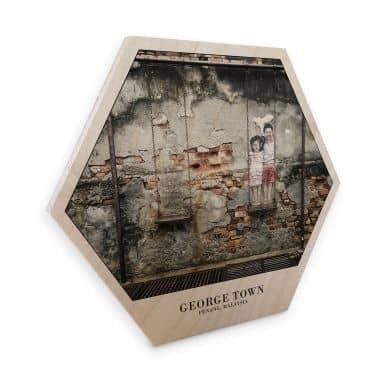 Our prints on sustainable wood have a vintage look and feel and yoou'll surely be proud to diplay this piece of art. 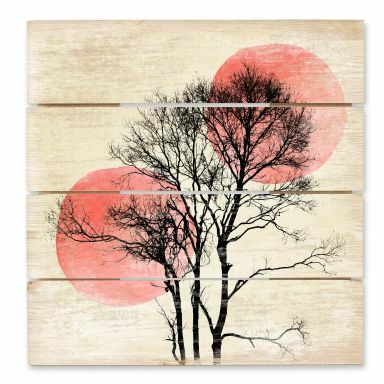 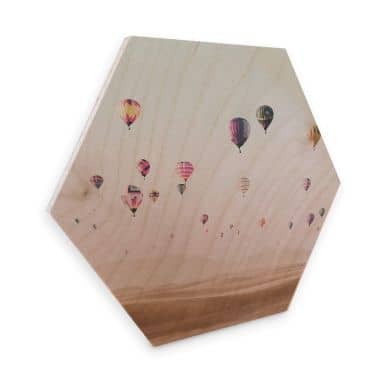 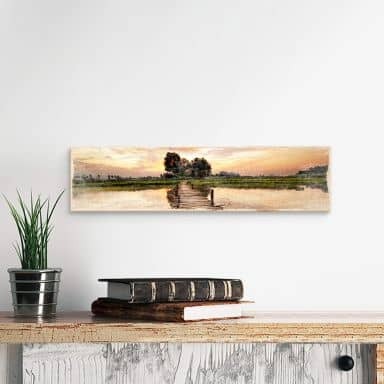 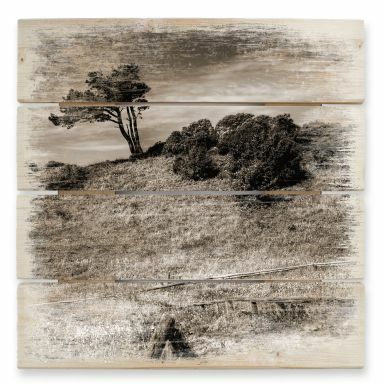 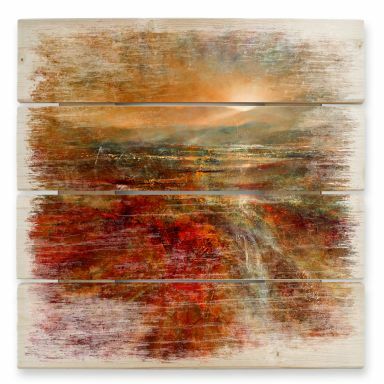 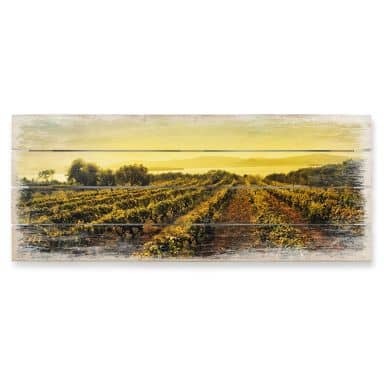 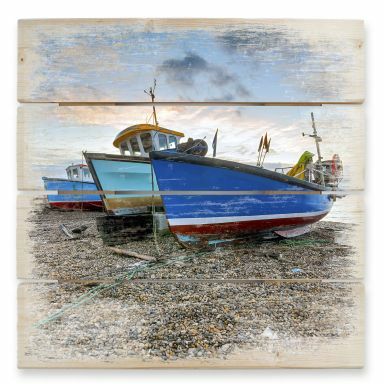 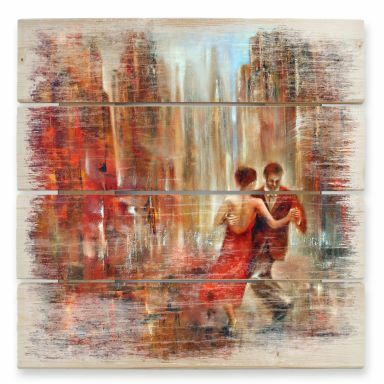 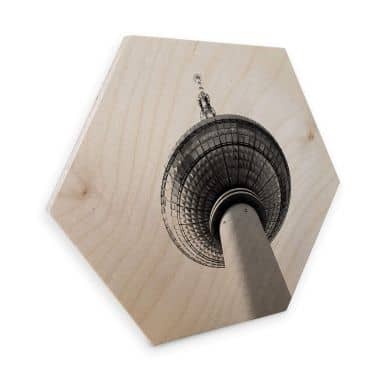 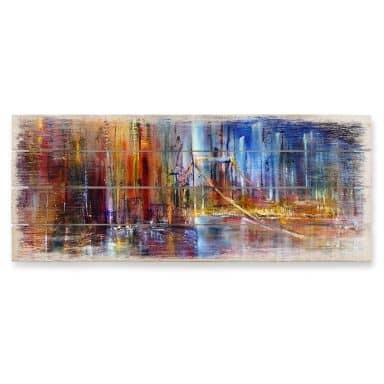 Give your wall decoration a natural and warm feeling with a print on high quality wood. 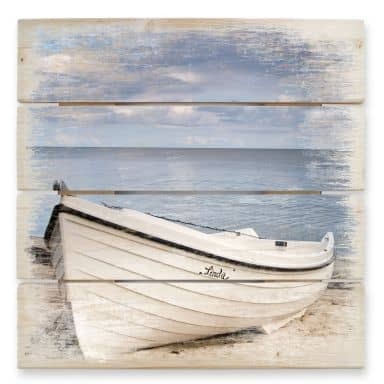 The wood grains and knots make each image unique. 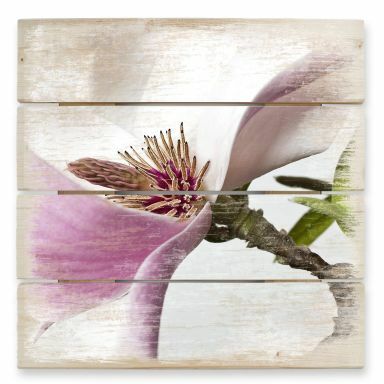 Beautiful close-up of our favourite flower! 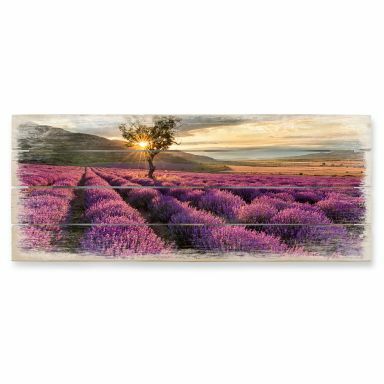 Lovely lavender field in Frnace. 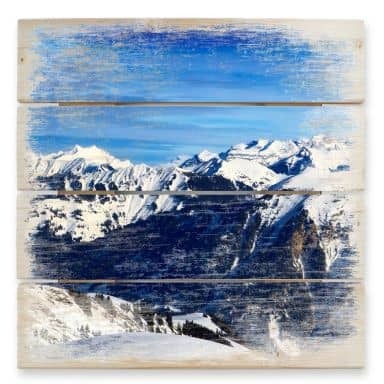 Perfect picture for mountain lovers! 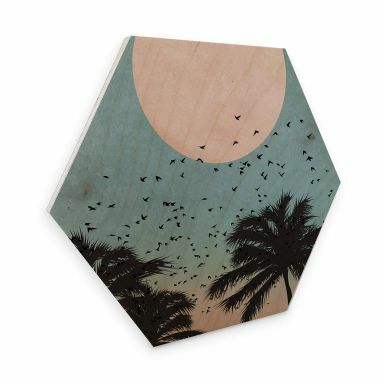 Beautiful prints on high-quality pinewood. 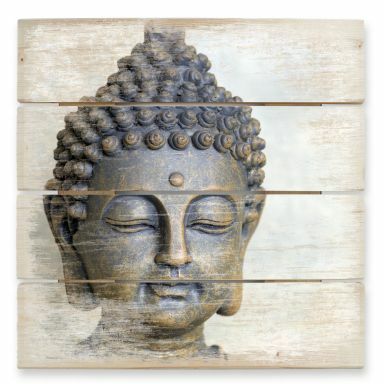 Decorate your walls with smiling Buddha face. 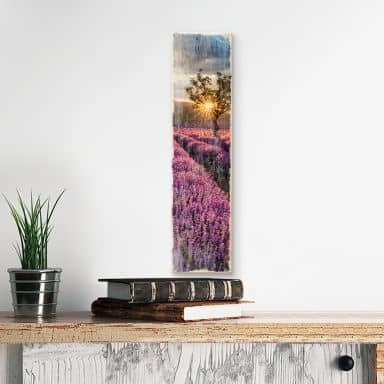 Don't you love the smell of lavender? 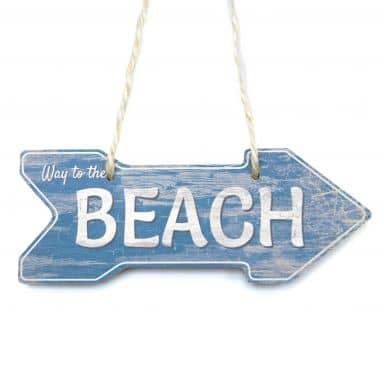 Breathe in the fresh sea air! 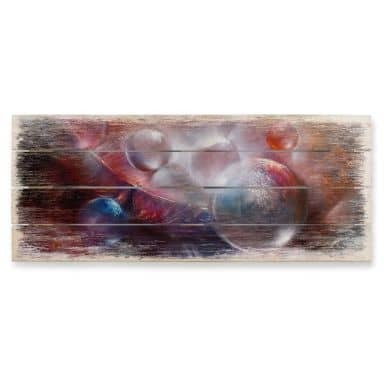 Wonderful wooden board with a felten heart. 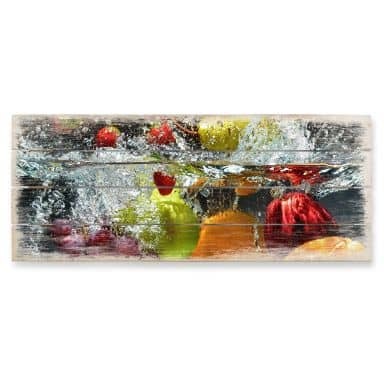 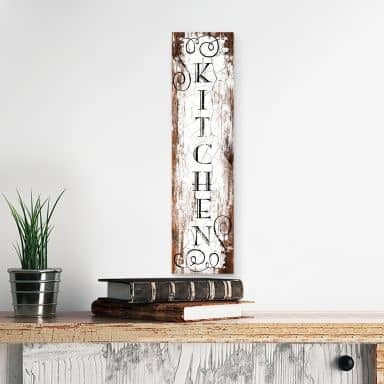 Great refreshment for your kitchen. 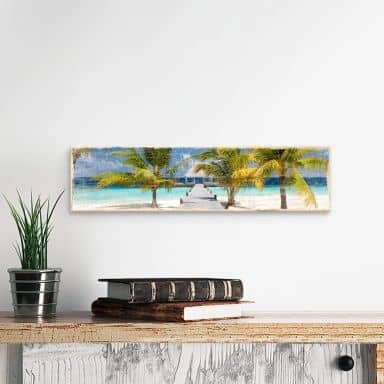 Your piece of paradise at home!